NAGE Local 282 President Greg Sorozan and the NAGE legislative team were among the labor leaders, advocates, and other supporters of working people who attended the Healthy Workplace Legislator Sponsors Day at the Massachusetts State House on Thursday, January 15, 2015. The event gathered labor leaders and advocates for working women and men at the State House to present to lawmakers and staffers information on a variety of bills designed to improve worker safety and health. NAGE is once again the primary champion of a bill that would give employees the right to pursue legal damages in cases of severe workplace bullying. David Yamada, the Suffolk Law School professor who authored the bill, joined Sorozan at the event and noted the increased recognition, as well. UPDATE: After the lobbying day, we learned that the Health Workplace Bill has been assigned House Docket number 2072 (an official bill number will be assigned later). Rep. Ellen Story (D-Amherst) is the bill’s primary sponsor in the House of Representatives. The House deadline for adding sponsors is Friday, January 30. To find your representative and request his/her support for the bill, go to malegislature.gov and use the “find a legislator” function. 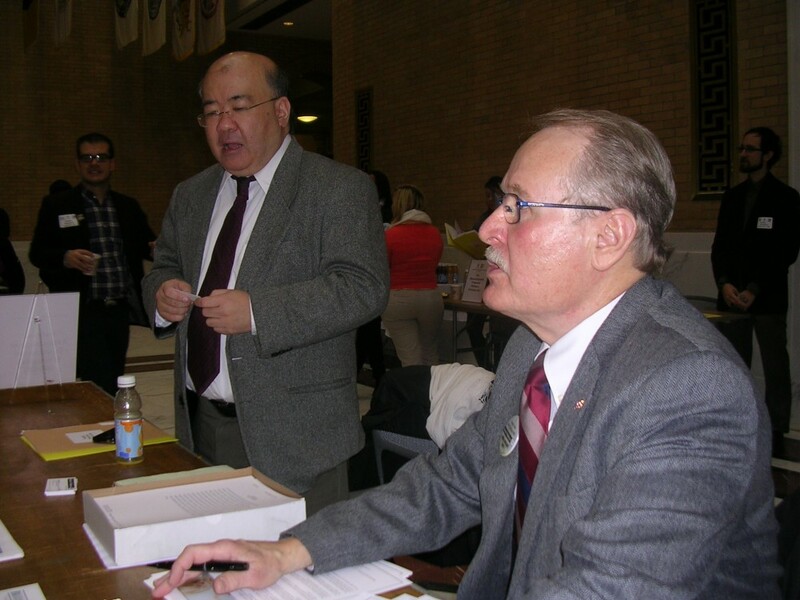 David Yamada (left), Suffolk Law School professor and author of the Health Workplace bill, joins NAGE Local 282 President Greg Sorozan (right) at the Healthy Workplace Legislator Sponsors Day at the Massachusetts State House on January 15, 2015.